Womens Diamond Fancy Bangle Bracelet Black 18K Gold 17.11 ct 7"
Stunning! Dazzling! 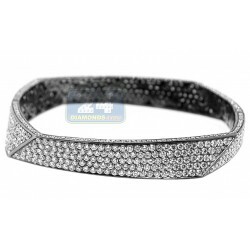 This diamond bangle bracelet features fancy round shape design! 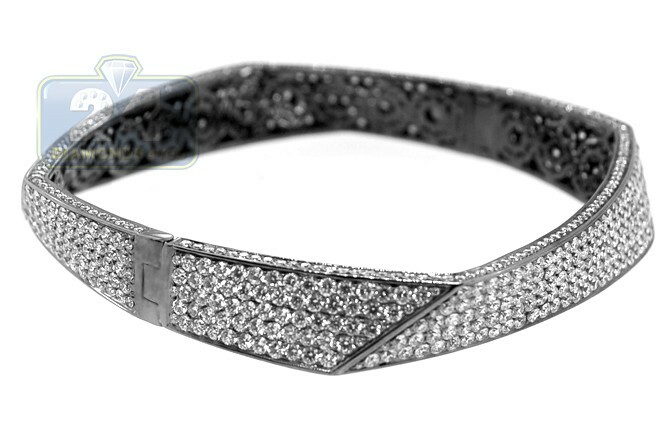 Professionally created from luxurious 18k white gold, it has magic black rhodium finish. 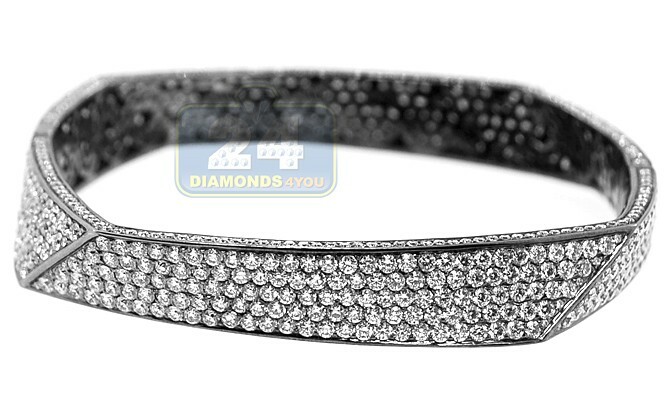 Our women's bangle bracelet is studded with 17.11 carats of icy white round brilliant-cut diamonds. Its inner length is 7 inches, and width - 10 mm. Black color makes this diamond bangle absolutely unique and subtle!